Al Pfister is a semi-retired fish and wildlife biologist and natural resources manager. Al spent 30-plus years with the US Fish and Wildlife Service, Bureau of Land Management and Department of Army, and the past six years in the private sector. He serves on the boards of the Weminuche Audubon Society and San Juan Water Conservancy District. He is leading a local effort to recover and delist the federally endangered Pagosa Skyrocket, a plant found only in the Pagosa Springs area. Having grown up on a small farm in Ohio and working in seven western states on endangered species and resource conservation issues, Al is very interested in utilizing those experiences to enhance our community’s ability to sustain our economy in balance with the surrounding awesome landscape. 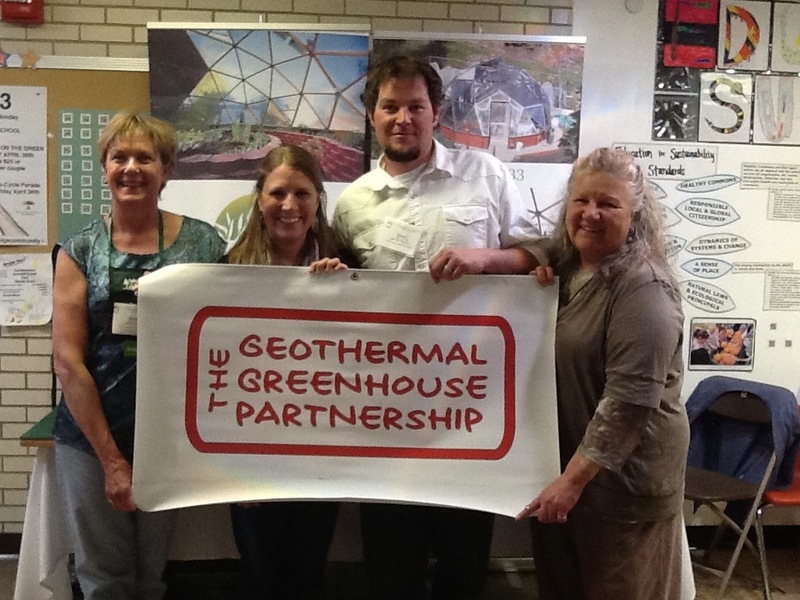 Pauline Benetti is a seven-year member of the Geothermal Greenhouse Partnership Board of Directors. She brings her academic preparation (University of California at Berkeley) and work experience (Hewlett-Packard Corp.) to bear on writing successful grant proposals for the GGP and for the Ross Aragon Community Center. She is a graduate of the Colorado Master Gardener Program and brings that expertise to her job as chair of the GGP Facilities Management Committee. Since retirement to Pagosa in 2000, Pauline has devoted energy to promoting sustainability issues in the community through her work with the GGP, the Southwest Organization for Sustainability (SOS) and the Pagosa Farmers Market which she coordinates and where she sells alpaca fiber and products from her livestock. She is also on the leadership council of the Pagosa Unitarian Universalist Fellowship. Anne Stevens began her professional career with a B.S. in Zoology and a Ph.D. in Toxicology. Dr. Stevens worked as a toxicologist for 25 years for various pharmaceutical, chemical, and manufacturing companies. Much of her work involved technical writing and health and safety assessments. She taught middle school science and math for 12 years in New Mexico, before retiring to Pagosa Springs, where she pursues her lifelong interests in conservation issues, birding, and gardening. Anne is a CSU Master Gardner and is particularly interested in native plants in landscaping. She volunteers at the GGP Education Dome, with the Audubon Rockies educational program at Four Mile Ranch, and as the Treasurer of the Weminuche Audubon Society. Sally High is a Colorado State University Master Gardener, who serves on the Geothermal Greenhouse Partnership Board, the GGP Programming Committee, the Pagosa Springs Parks and Recreation Commission and the Colorado Environmental Education Leadership Council. She is a retired educator of 25 years, who taught a greenhouse gardening elective class and still leads the 4-H Gardening Project. Sally received the national Presidential Innovation Award for Environmental Education in 2012. She has produced four Pagosa Verde Symposiums and five Colorado Environmental Film Festival Caravans. Jenelle Syverson owns Choke Cherry Tree, a 19-year business that’s well-known for its specialty foods. Jenelle advocates for local food production and uses local berries for her gourmet creations. She works to organize the Pagosa Springs community around an Agritourism destination identity. Jenelle serves on the Boards of the Chamber of Commerce and Young Professionals of Pagosa Springs. She regularly brings new expertise home to Pagosa from various regional, national and international gourmet festivals and food shows. Jenelle’s bookkeeping and marketing skills are welcome additions to the GGP Board. Robin Young is the Colorado State University Extension Director for Archuleta County. She has a Bachelor’s of Science in Forestry from Northern Arizona University and will finish her Masters of Agricultural Education from Colorado State University in May of 2018. As the CSU Extension Agent, Robin develops programming in the areas of energy, natural resources, agriculture, horticulture, food systems, community development, family and consumer sciences, and youth development. Before moving to Pagosa Springs in the fall of 2017, Robin served as the CSU Extension Director, 4-H agent, and County Noxious Weed Manager for Custer County, Colorado. She also served as the Conservation District Manager and a soil technician for the Natural Resource Conservation Service, and ran a private forestry and land consulting business and with her husband for over 20 years. Robin’s experience and knowledge helps landowners manage their land and become better stewards of their resources. Keith Bruno received a MS in Natural Resources (Environmental Education certificate) from the University of Idaho’s McCall Outdoor Science School (MOSS) in fall 2016. He recently moved to Pagosa Springs to assume the role of Audubon Rockies’ Southwest Colorado Community Naturalist. That means that he gets to work with community members (youth and adults) in the expansion of environmental education opportunities for the 4 Corners region. Previously, Keith and his wife Kelle, ran a market garden in the Bayfield/Durango area for a number of years, in addition to working some winters up at Wolf Creek. A combination of interests, including gardening, native plants education and birding, led him to a conversation with GGP that resulted in his induction on to the board. Cameron Parker prefers to spend a majority of his time with his amazing wife Jane, and two rock star status children, Davis and Annabelle. While away from his family, he works internationally, implementing food security programs in developing countries. After agriculture programs are established, he constructs geodesic monolithic concrete structures that are both hurricane and earthquake resistant to support local communities in the developing farm communities. An MS from Colorado State University in Landscape Design and Construction and an E.C.H.O Tropical Agriculture Development training gives Cameron the tools needed to serve those who are most vulnerable in this world and allows him to walk out his faith in a meaningful way. Cameron is a member of the Pagosa Springs Planning Commission and the Chair of the GGP Landscaping Committee. Nicole DeMarco is the Town of Pagosa Springs representative to the GGP. Nicole graduated from the University of Georgia with a degree in International Affairs, and upon graduation, moved to Washington, D.C. Nicole has worked at national security think tanks and the United States Senate. Nicole stumbled upon Pagosa in the fall of 2009 during a migratory period in life, working on rivers from the far north of Alaska to the lower latitudes of South America. Nicole works at the local radio station, KWUF, as an On-Air Personality and Sales. Former Pagosa Springs Mayor, Ross Aragon holds the historical record as the longest serving mayor and town trustee (38 years) in the state of Colorado. A former Geothermal Greenhouse Partnership president, Ross Aragon was honored by the organization with Emeritus for Life. The regular meeting of the GGP Board of Directors is held the first Wednesday of each month at 4 pm. The meetings are held at the Heritage Building, 468 Pagosa St., downtown Pagosa Springs. Management of the project is accomplished through five focused volunteer committees. Contact the GGP to become involved in the development of the GGP educational park.